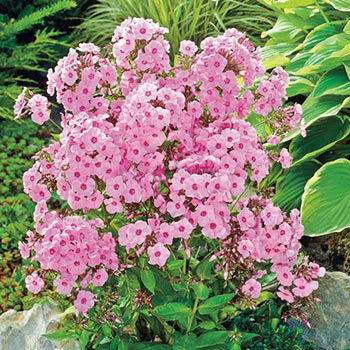 Flamingo Tall Phlox is primed to take center stage in borders and cutting gardens. Boasting a truly remarkable coloration, these striking blooms are made up of flamingo-pink florets that are accented with crimson eyes and form robust, 6-8" flower heads. 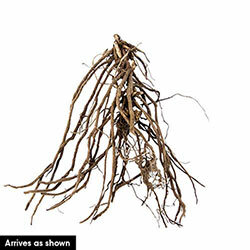 Plus, they emit a delightful scent that envelops the entire area—just one stem is enough to perfume an entire room! 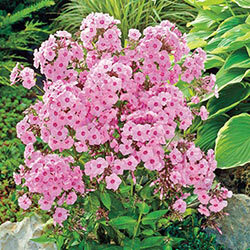 Prefers well-drained soil and can be easily divided every 3-4 years to increase flower production.